In our last article we have discussed about shaper machine, its working, construction, application etc. We know shaper is a machine tool use to produce flat surfaces, grooves, keyways etc. This type is a very easily available and mostly used type. In this type, the crank mechanism is utilized to convert the rotary motion of Bull gear into reciprocating motion of the ram. The ram is loaded with the tool head at its end to provide desired cutting operation. Total length traveled by the reciprocation tool is equal to the length of the stroke. This type is not much used in industry now a day but few of them use it. In this type rack and pinion arrangement is utilized to make the ram reciprocate for cutting operation. The number of gears and its arrangement in the gear train decides the speed and direction of the traverse of the machine respectively. This is the type which is used when we have to produce very fine cutting. It utilizes the hydraulic power for the reciprocating motion of the ram. Oil is pumped into the piston cylinder system under high pressure. 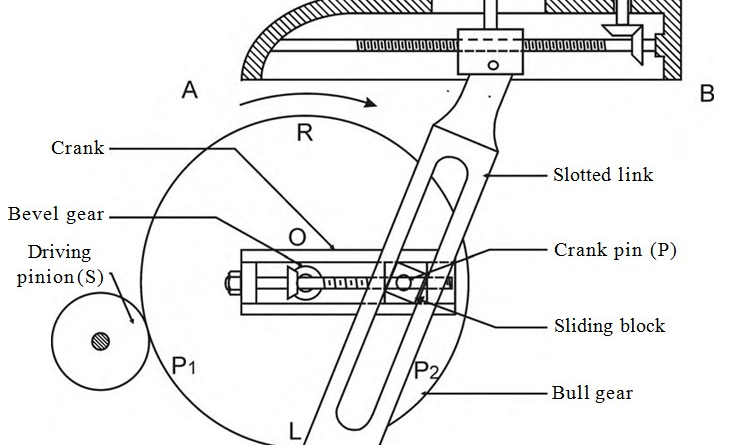 The end of the piston is connected to the ram working as an end effector. As the piston reciprocates due to high pressure oil, the ram also reciprocates providing desired cutting motion. The speed of ram is controlled by controlling the pressure of oil that is being pumped to the piston. The advantages of this type are that it is less noisy and cutting force remains constant throughout the cutting operation. 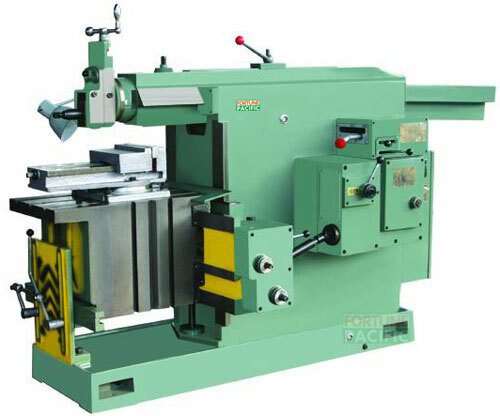 As the name suggests in this type of shaper machine the tool head connected to the ram end moves in the horizontal axis of the bed. This type is used to generate flat surfaces, keyways, etc. 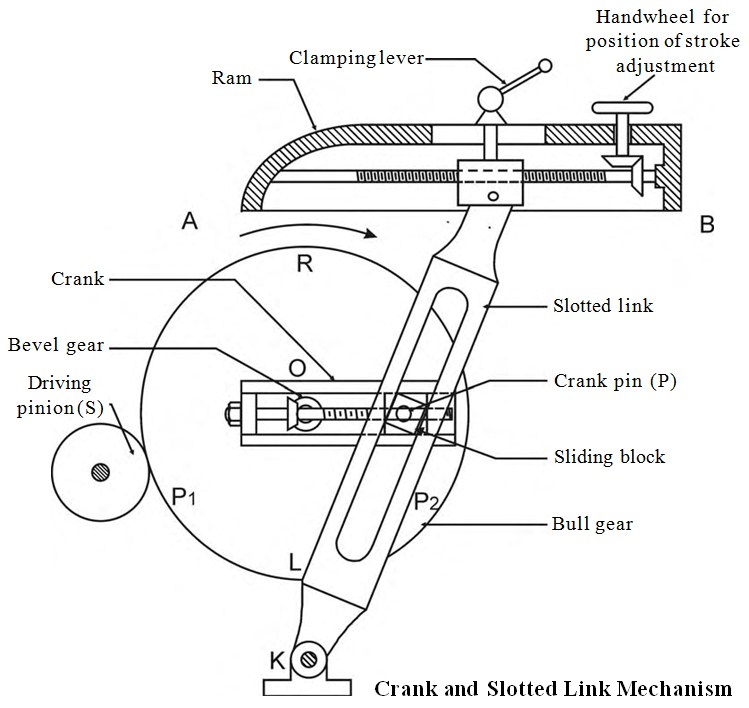 The movement of the tool in this case also is suggested by the name that is motion in the vertical axis. In this type of Shaper, the work piece is kept on such a table that can have a cross, longitudinal and rotational movement. This type is widely used for cutting slots, grooves, key holes, etc. This type of shaper was developed for heavy and large work piece which cannot be placed on the table of a regular shaper. In this type, the ram other than having a reciprocating motion also has a crosswise movement to provide required feed. Whenever anything is developed we try to keep it as simple as possible. Similarly, it is the primitive design which has only two movements of the table i.e. the horizontal and the vertical movement. Above system does not provide much flexibility in machining so to increase flexibility other than two motion that is vertical and horizontal, two more position table is defined in this type. Other two motions are, first is the swivelled motion about an axis parallel to the ram ways and second is that the upper part of the table can be tilted about an axis perpendicular to the first motion explained in this heading. This is the reason it is known as universal Shaper because it can generate complex surfaces also. It is the most widely and commonly used types of Shaper. In this type, ram is reciprocating away from the column and hence pushing the work piece for the metal removal process that is why it is known as the push type of Shaper. 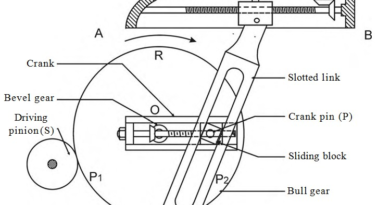 It is the counter part of the push type means provide cutting in reverse arm stroke. It works exactly opposite of push type that is the metal removal process is done by moving the ram towards the column. Due to this movement of ram the work piece takes the force in the direction towards the column of the work piece which helps in reducing the load from the column and bearing and hence avoiding deflection of the tool. 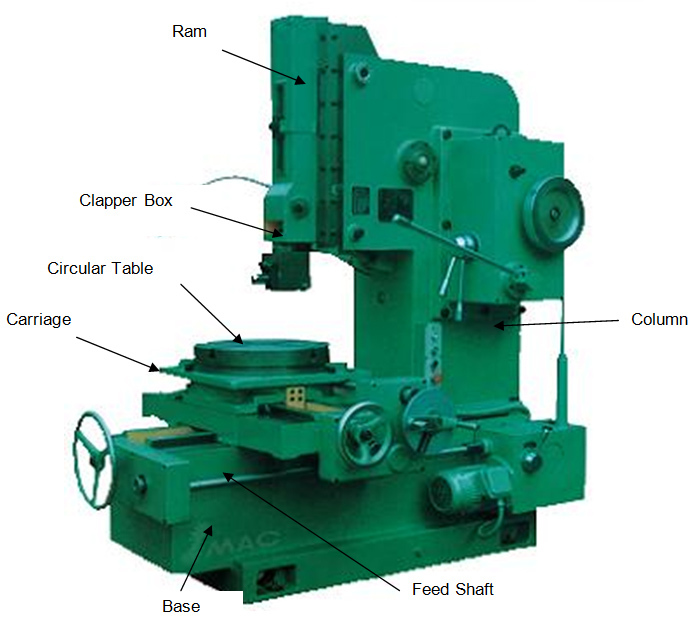 These are basics of different types of shaper machines. If you have any query regarding this article, ask by commenting. If you like this article, don’t forget to share it on social networks. Subscribe our website for more informative articles. Thanks for reading it. ← How Shaper Machine Works? please sir explain various refrigeration cycles like VCRS and VARS etc.